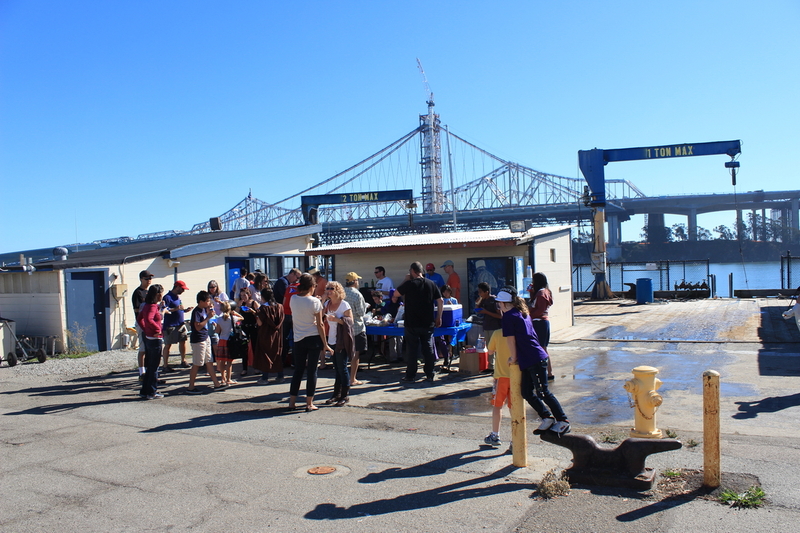 The weather on clipper Cove for Sunday afternoon’s student/parent barbecue was picture-perfect. What I enjoyed even more was the opportunity for face-to-face networking, brainstorming, and ideas generation with parents, staff and instructors. Lots of energy with 50 parents and kids enjoying Pier 1. 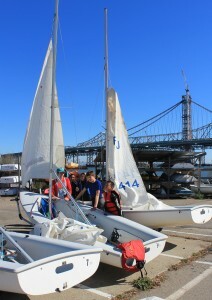 Many interesting stories about how these kids ended up at TISC: because the parents sailed, because kids’ friends sailed, because of the excitement caused by the America’s cup, . . . the list goes on. Many parents were actively pushing for ways to help out in any way they could-and suggested making a list of jobs and supplies that would be useful for the staff, instructors and facility better serve the kids’ sailing program. Make it easy for parents and volunteers to sign up for small tasks that could be done during class time, evenings or other times without the need for staff support. Set up a parents-only email list for ride sharing, car pooling and idea exchange. Send information on schedules, registration, island events on a regular basis. Provide opportunities for family sailing and/or lessons for parents so they can learn at least the basics of “sailing 101”. What great ideas – I left TISC yesterday afternoon on a high. My wife Jane and I grew up sailing, we met because of sailing, and our kids and grand-kids all love boats and the water. The only downer on Sunday was the fact we had to head home while the kids,instructors and parents were rigging boats and getting ready to go sailing! This entry was posted in Uncategorized and tagged Clipper Cove, San Francisco Bay, TISC, Treasure Island Sailing Center by skippersgift. Bookmark the permalink.